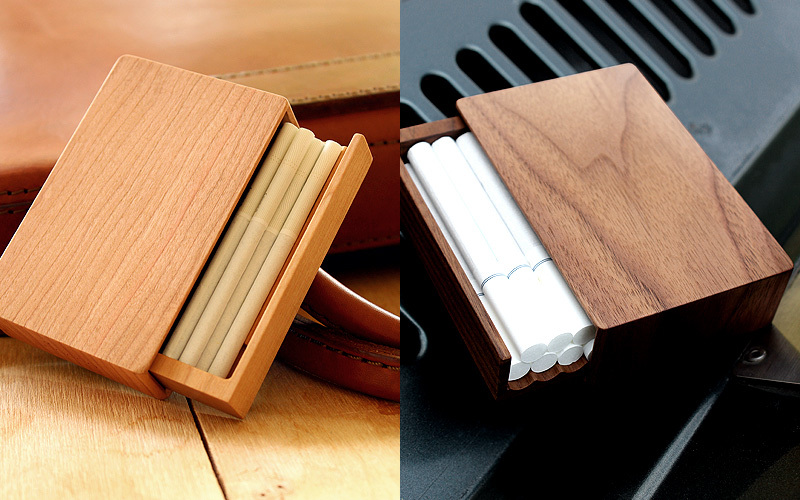 This one of a kind case let you carry your cigarettes with style. 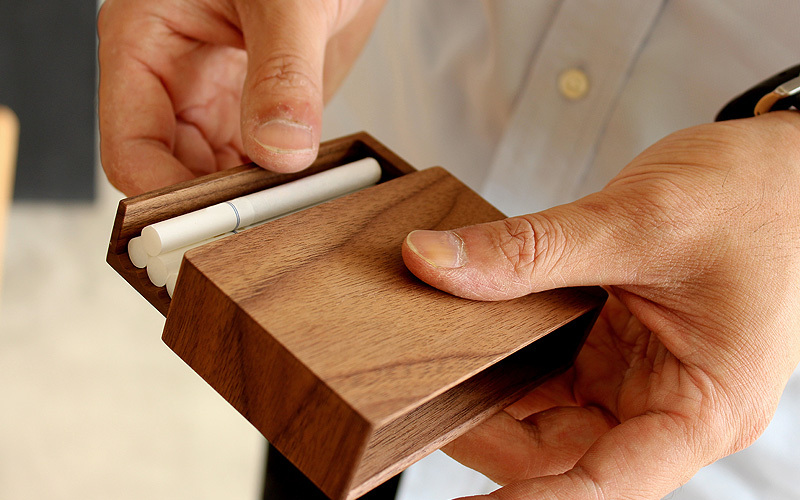 By sliding the inside tray with a gentle push, smoothly you can take your cigarettes out of the case. 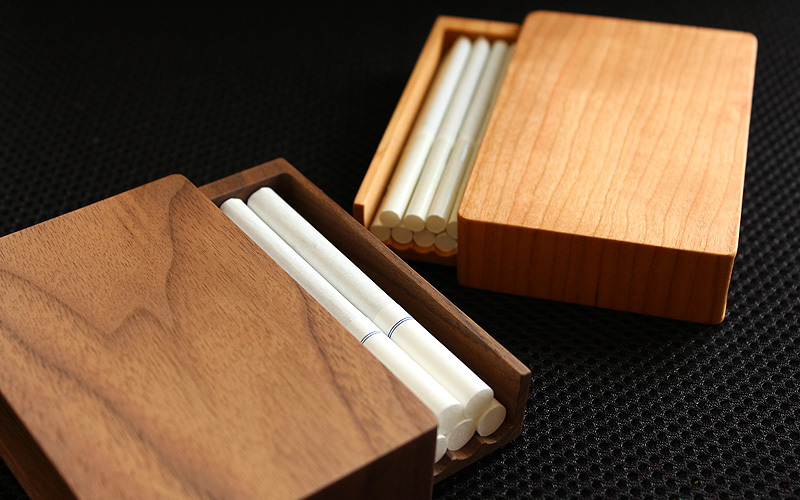 Over time and use, the precious wood develops a natural patina and becomes your original. It is available in two types, regular or slim. Copyrights©2001-19 Hacoa All Rights Reserved.